Sign up for Broadjam today to follow STOOL PIGEON, and be notified when they upload new stuff or update their news! 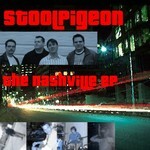 "The Nashville EP" is the debut release from Stool Pigeon. It combines melodic songwriting with exacting musicianship and gives a good preview into the band's abilities.